N 29° 6' 12" and E 70° 19' 30"
Rājanpur in Punjab with it's 50,682 inhabitants is located in Pakistan about 357 mi (or 575 km) south-west of Islamabad, the country's capital. Local time in Rājanpur is now 12:10 AM (Friday). The local timezone is named Asia / Karachi with an UTC offset of 5 hours. We know of 8 airports in the wider vicinity of Rājanpur. The closest airport in Pakistan is Shaikh Zaid Airport in a distance of 50 mi (or 80 km), South. Besides the airports, there are other travel options available (check left side). Depending on your travel schedule, you might want to pay a visit to some of the following locations: Dera Ghazi Khan, Barkhan, Dera Bugti, Muzaffargarh and Kohlu. To further explore this place, just scroll down and browse the available info. Let's start with some photos from the area. Mithankot, (Mithancot, Mithankote, Kotmithan, Kotmithan Sharif, Kot Mithan) is located in southern Punjab, Pakistan. Located at 28.95, 70.3667 (Lat. / Lng. ), about 11 miles away. Rajanpur, is a city and the headquarters of Rajanpur District in the far southwestern part of Punjab, Pakistan. The district lies entirely west of the Indus River. it is a narrow, 32 kilometres to 64 kilometres wide strip of land sandwiched between the Indus River on the east and the Sulaiman Mountains on the west. The town is approximately 15 kilometres from the west bank of the river. It had a population of 42,986 in 1998. Located at 29.1033, 70.325 (Lat. / Lng. ), about 0 miles away. 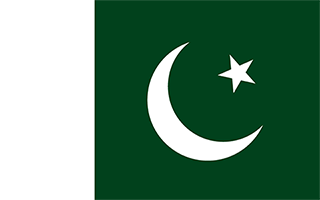 Asni (also spelled Aasni), 29:01N, 70:15E, is a historic town located at the foot of Sulaiman hills, approximately 10-12 miles west of the Indus river in the Rajanpur district of Punjab, Pakistan. Mithankot, Rajanpur and Umerkot are the large towns within the 10 to 15 miles from Asni. In Hindu mythology, Asni was the āsan (place or seat) of Rājā Rāsālu, the mythical king of Punjab (Imperial Gazetteer of India, 1901). Prior to 1947, Dreshak tribe of Balochs dominated the population of the town. Located at 29.0167, 70.25 (Lat. / Lng. ), about 8 miles away. Rajanpur District, is a district of Punjab province in Pakistan. According to the 1998 census of Pakistan it had a population of 1,103,618 of which 14.27% were urban. Its administrative centre is Rajanpur. Located at 29.1047, 70.3257 (Lat. / Lng. ), about 0 miles away. These districts belong to Rājanpur. These are some bigger and more relevant cities in the wider vivinity of Rājanpur.